Jeremy West took his first steps on the cornett in 1974 while a student at Durham University, where he was inspired and encouraged by the late Jerome Roche. Following that he studied with Philip Pickett at The Guildhall School of Music in London. He has made his living as a professional cornett player ever since. He is Group Manager of the renowned and pioneering ensemble His Majestys Sagbutts and Cornetts and also Principal Wind Player with The Gabrieli Consort and Players for their early repertoire. He also performs and records regularly with many of Europe's other leading early Baroque ensembles. Jeremy has more than thirty major recordings to his credit. He has appeared in settings ranging from London's Royal Albert Hall and the Sydney Opera House to St Mark's Venice, the Orient Express and, on one occasion, a Polish salt mine. En route he has taken in Europe's major music festivals, numerous provincial concert halls, and a variety of churches, cathedrals and palaces. Jeremy is also an active cornett teacher as Professor of Cornett at The Royal College of Music, London, and Consultant to The Royal Academy of Music; he teaches on courses and workshops in Britain, Germany and Switzerland; and he has a number of private pupils. 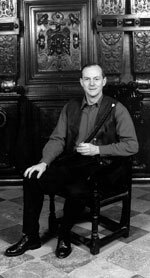 In 1995 he wrote and published 'How to play the Cornett', the first contemporary comprehensive tutor for cornett players of all levels.